Leading environment organizations from all parts of the country including Uttarakhand and some activists have written to the Ministry of Environment and Forests that it is now beyond doubt that existing and under construction hydro power projects in Uttarakhand have played a significant role in increasing the proportion of disaster in the state in June this year.They cited six projects to prove their point and demanded that environment clearance of these projects be suspended. Srinagar HEP a 330 MW project under construction, they said has been illegally dumping muck into the river or piling heaps on the slope without any adequate retaining wall. It accused the project authorities of closing the gates of the dam on the evening of June 16 and opened them suddenly next morning which led to flooding in the downstream town. The town was submerged not only in water but also in 10-30 feet of muck, it says. In the case of 99 MW Singoli Bhatwari and 76 MW Phata Byung HEPs on Mandakini river, in Rudraprayag district, the letter to the ministry says that both have been dumping muck which was carried by the river to downstream villages and towns upto Rudraprayag. 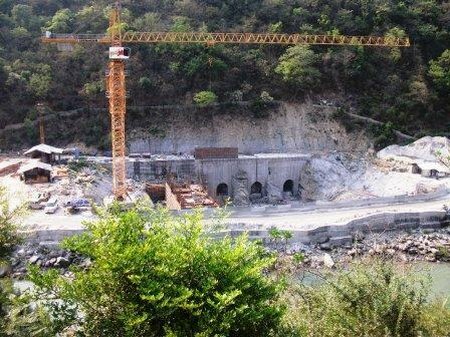 The 400 MW VIshnuprayag HEP on Alaknanda river, it said did not open the gates in time leading to the reservoir behind the gates getting filled with boulders. The river then bypassed the project and created a new path first creating a huge flash flood in the downstream area and also eroding the banks and the road. This led to massive destruction in Govindghat township including the bridge to Hemkund Sahib endangering the lives of pilgrims and tourists. Maneri Bhali I and II also failed to open the gates on time leading to huge damage due to floods, the letter says. Maneri Bhali itself was damaged in the process the letter says. The 280 MW Dhouliganga HEP is also being blamed for floods in the downstream area. The powerhouse itself was submerged and the project is yet to start generation, the letter said. Small HEPs have also suffered damage and are being held responsible for increased disaster impact. The projects include 4 MW Kaliganga I and 10 MW Kaliganga II, 9.5 MW Madhyamaheshwar HEP, 5 MW Motighat, Assiganga I and II. The activists urged the MoEF to amend the EIA notification to include all hydro projects above 1 MW under category B1 so that they all have Environment Impact Assessment and go through public consultation process. Himanshu Thakkar of South Asia Network of Dams, Rivers and People also a signatory of the letter said that the US laws demand re-evaluation of any project after a disaster. We should also follow this norm, he said. The letter sought suspension of repair and construction of the projects mentioned above as they need to be reviewed in view of the disaster.It said that the landslide impact assessment of these projects has been inadequate. Besides it pointed out that the only norm for use of explosives has been made by Director General of Mines and pucca houses. These norms it said are being applied to fragile hills in the state and structures there. It sought assessment of impact on forests via loosening of soil and depletion of aquifers. The activists sought an independent inquiry into disaster impacts due to “wrong and illegal functioning” of projects mentioned. The signatories included Ravi Chopra of Peoples Science Institute, Dehradun, Dr Bharat Jhunjhunwala a former professor of IIM Bangalore, Prof Prakash Nautiyal and Prof Mohan Singh Panwar of Garhwal University, Srinagar, Uttarakhand,Malika Virdi K Theophilus, and Ramnarayan of Himal Prakriti, Prakash Chaudhuri of Matu Jan Sansthan, Uttarakhand, Prashant Bhushan, lawyer, Neeraj Vagolikar of Kalpavrish,Sripad Dharmadhikari of Manthan Adhyayan Kendra, Dr Latha of River Research Centre, Kerala, Filmmakers Valli and Martand Bindana, Himanshu Thakkar and Parineeta Dandekar of SANDRP, and former envoy Madhu Bhandari.